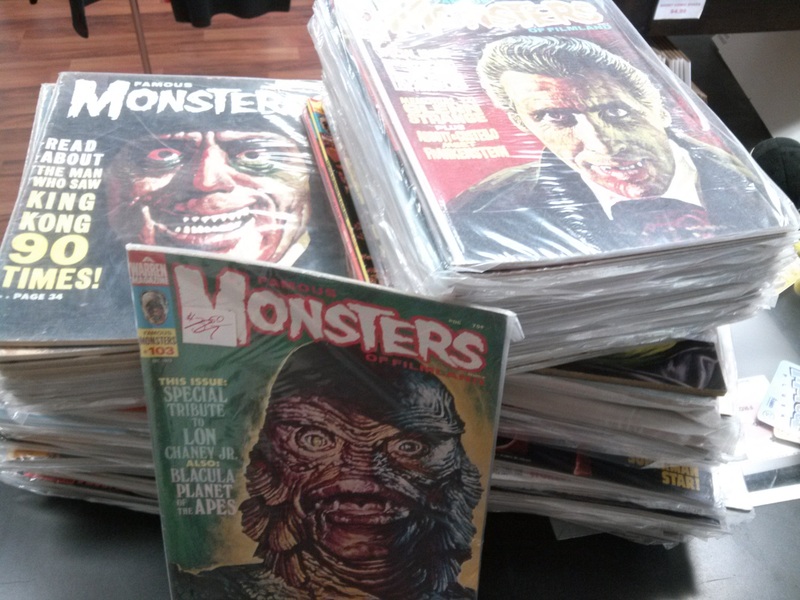 Just purchased: a large collection of the legendary Famous Monsters of Filmland magazine…a couple hundred issues ranging from the 1960s to the 1980s! Lots of classic monsters, sci-fi favorites, almost too much Star Wars, and more! I got them in literally minutes ago, so I’ll be processing them as quickly as I can manage! Of course, if you come by before I’m done processing them, I might make you some special deals…! This entry was posted in Store News on September 2, 2015 by Mike.